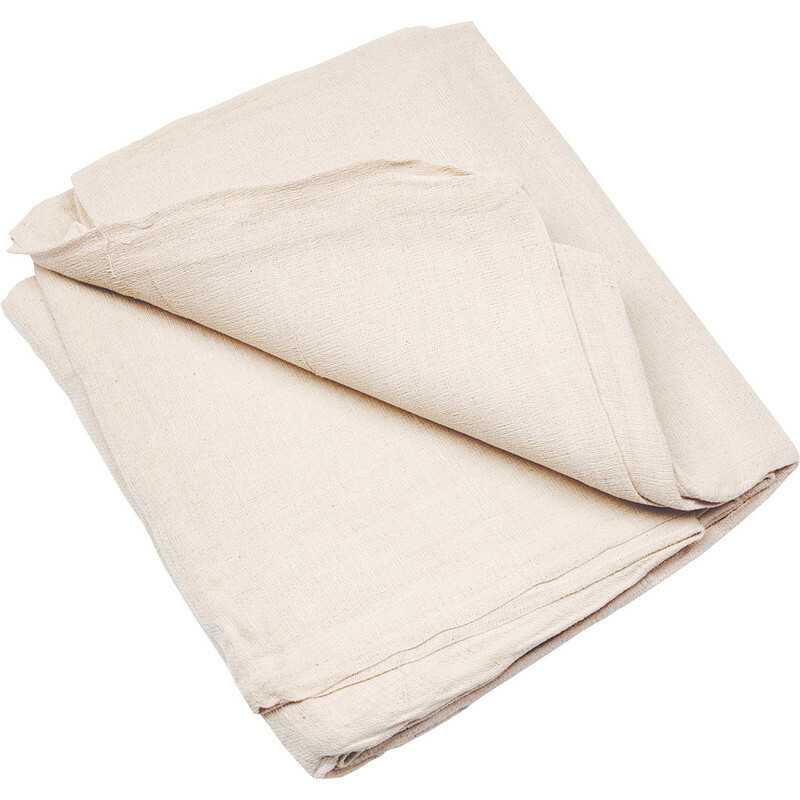 Cotton twill dust sheet helps to protect against dust, dirt, paint splashes and spatter. Cotton Dust Sheet 1.8m x 0.9m is rated 3.9 out of 5 by 44. Rated 5 out of 5 by amnesiac from Simple and Cost Effective These Dust Sheets are good quality cotton, and they are really effective at protecting surfaces when you undertake any form of decoration. Dust is the least of my worries, but they do a grand job saving me from paint splashes and paste spills. After a reasonable amount of use, they can just be thrown in the washing machine. At the price, it doesn't hurt just to throw them away and use new ones. And, you can tell all your 'Green' critics that they are bio-degradable, too. Rated 2 out of 5 by Derekch no from Poor quality Cheap quality, dust comes through the open weave. Rated 4 out of 5 by shass from Good old fashioned dust sheet. It's a dust sheet. Nice and big. Protects the work area and unlike the cheap polythene ones, you can use it again and again. You are unlikely to slip on it either, unlike the cheap polythene ones. Rated 3 out of 5 by lew39 from A little thin Great length but a little too thin compared to my other sheets, would need 2 of these sheets on a staircase to make sure of no paint getting through, it's not terrible but it's not bad, it's how you paint and I very rarely drop any paint from my brush . Rated 1 out of 5 by Nick1234567890fgthg from Garbage Garbage. Far to long and nit wide enough. After one wash it creases tightly together and pretty much stays that way. Useless for painting with.